Below you can view all the homes for sale in the Princeton Lakes subdivision located in Marietta Georgia. 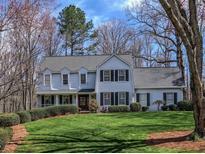 Listings in Princeton Lakes are updated daily from data we receive from the Atlanta multiple listing service. To learn more about any of these homes or to receive custom notifications when a new property is listed for sale in Princeton Lakes, give us a call at 404-998-4102. Bonus Room Makes A Great Office Or 5Th Bedroom. MLS#6523187. Harry Norman Realtors. Walk To The Elementary School, To Restaurants, Grocery, Or Shopping! MLS#6512055. Keller Williams Realty Atl North. Upstairs Laundry, Hardwoods Galore, 2 Staircases, Newer Windows, Irrigation, Nest, Finished Terrace Level, Courtyard Entrance, Backyard Paradise W/Waterfall & Goldfish Pond, Top Schools & So Much More! Truly A Must See! Wow!! ! MLS#6509264. Keller Williams Realty Atl North. 'Don'T Miss The Opportunity To Own In Princeton Lakes For Under 530K! MLS#6072180. Mark Spain Real Estate.